Girls on their periods are forced to stay in dangerous, remote places. A menstrual hut in Nepal where, in December, 2016, Dambara Upadhyay died during her period. Photo courtesy of Shiva Raj Dhungana. Another Nepali teen has died while stranded in a menstruation hut outside of her family’s home while on her period. Tulasi Shahi, a 18-year-old from Dailekh, Nepal, died from a snakebite incurred while she was staying in the hut, according to news reports. 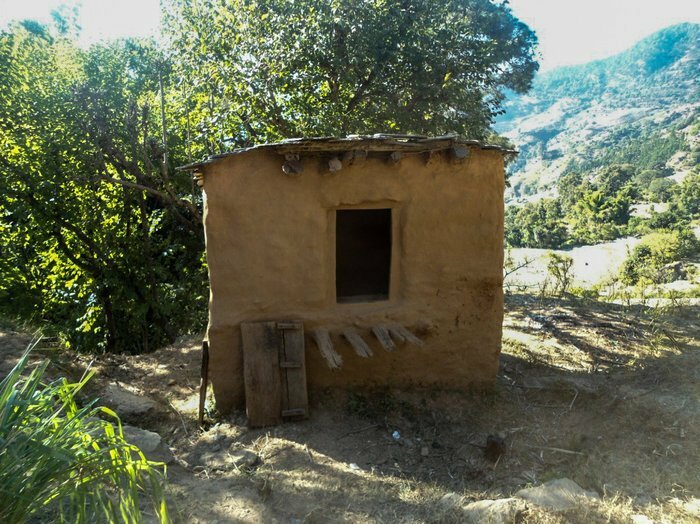 Girls and women are often forced to go live in chhaupadi huts because they are considered unclean while menstruating, but the huts are often dark, remote, and without sanitary facilities, leaving women exposed to hygienic and natural dangers. Over the past seven months, at least four Nepalese girls have died while staying in the menstrual huts. The mayor of the town where Shahi died, Surya Bahadur Shahi told CNN that the girl was bitten twice, on her head and leg, by a snake while staying in her uncle’s cowshed during the ritual. The family tried to treat the bites before taking her to a health center that did not have anti-venom medicine, according to CNN. The teen died the next day. In May, a 14-year-old died in Dailekh from cold-related illness, and two girls died in menstruation huts in 2016, one from suffocation after starting a fire in the poorly-ventilated hut. The cause of death for the other young woman was believed to have been a heart attack. The practice of chhaupadi has been outlawed in Nepal since 2005 but remains a common cultural practice, one that is slowly being fought by educational programs that seek to change beliefs about menstruation. Officials in Dailekh told CNN they would consider other recommendations that could prevent the loss of more lives.